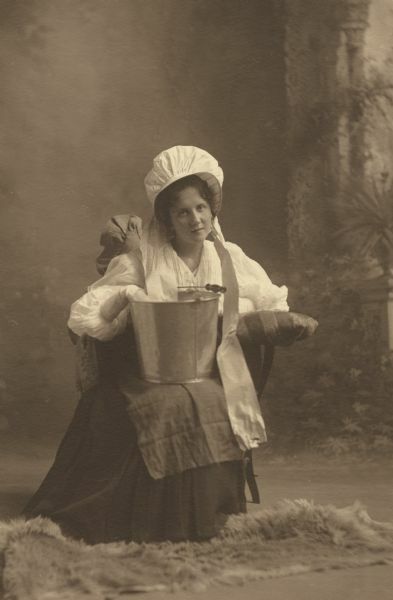 Though students may not bring their tea sets to college anymore — as Lelia Bascom did in the above image of her room in the old Chadbourne Hall at the University of Wisconsin in 1899 — the college experience has long been associated with dorm life. For centuries, universities were built around massive libraries. Early dorms were imposing structures designed to separate students from the outside — noneducational, vice-ridden — world. The male students that traditionally occupied these rooms were subject to strict rules and routines, often enforced by dorm mothers. Male students took up residency in the University of Wisconsin’s North Hall in 1851. 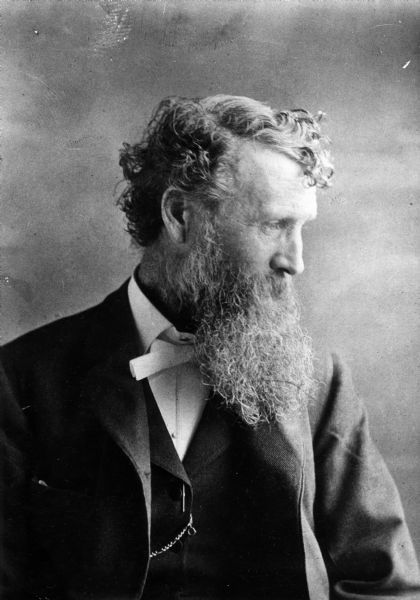 Among the hall’s most famous residents in its early years was John Muir, who decorated his 1860s dorm room with some of his inventions designed to maximize his college experience. One was a combination bed/alarm clock that tipped him onto the floor at an appointed hour each morning and struck a match to light up the room. Another was a rotating desk that lifted his textbook from a stack, opened it to the proper page, and left it there for a preset time before replacing it with the next book. A second dorm, South Hall, opened in 1855, and became the first female residence hall in 1863 when the first women were admitted to the UW. The student above, Lelia Bascom, benefited from the actions of her distant cousin, former UW President John Bascom, the man primarily responsible for giving women full coeducational status at the UW in 1863. It was a move steadfastly opposed by one of Bascom’s predecessors Paul Chadbourne, who later, in a most fitting bit of historical humor and revenge, became the namesake for the building housing female students. When the original Chadbourne Hall was demolished in 1957, it was the oldest women’s dorm in the United States. See more photos of dorm life — and its evolution — in this wonderful gallery from the University of Wisconsin-Madison Archives. 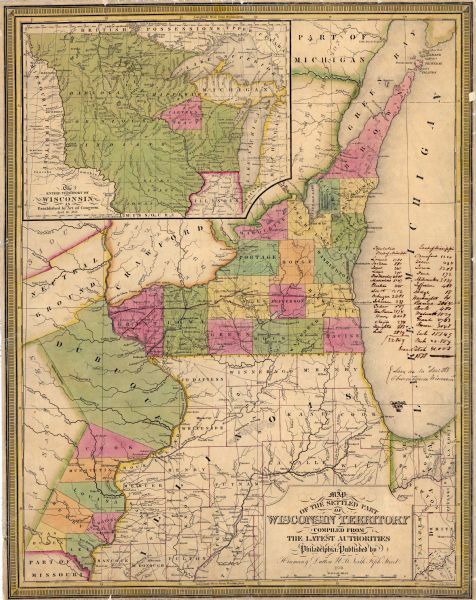 On July 4, 1836, Wisconsin officially broke off from Michigan to become its own territory. Michigan was one of several territories that the future Wisconsin had belonged. We’d been part of the original Northwest Territory, Indiana Territory, Illinois Territory, and finally Michigan before becoming a territory in our own right once enough people had settled here and Michigan became a state. Land speculator, judge, and all-around Wisconsin booster James Duane Doty led the effort to create the Wisconsin territory. Much to Doty’s chagrin, President Andrew Jackson appointed his rival General Henry Dodge governor. Doty didn’t let this setback deter him in his quest to shape Wisconsin. Dodge’s new job came with responsibility for conducting a census, holding elections, and convening a territorial legislature that would select a new capital. Doty purchased some land with a few partners on an isthmus where downtown Madison stands today. Doty then hired a surveyor who mapped out a hypothetical city that he named Madison after the former president who had just died and aggressively lobbied the legislature to select his planned city as capital. Out of 19 contenders, Doty won. Doty finally became Wisconsin’s territorial governor in 1841, where he tried and failed to lobby public support for statehood. 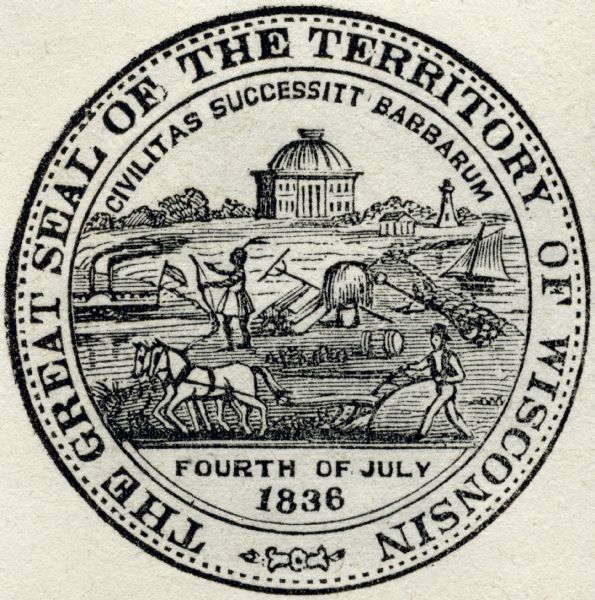 This territorial seal, likely created in 1838, shows a farmer plowing behind a horse, a Native American, a river steamboat, lighthouse, and lake schooner, and the first Madison capitol building (though not a very accurate representation of that). This week in 1911, John Schwister of Wausau flew Wisconsin’s first homebuilt airplane christened the “Minnesota-Badger.” The name came from the two sites of construction: St. Paul, Minnesota, and Rothschild. 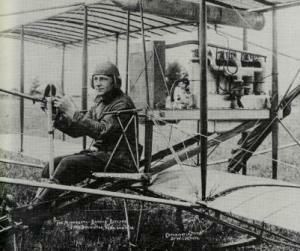 Schwister made his inaugural flight on June 23, 1911, traveling several hundred feet at an altitude of 20 feet. It was the state’s first plane capable of sustained, controlled flight, meaning it could take off, land, and turn as directed in the air. Schwister constructed his plane out of wooden ribs covered with light cotton. He initially designed it as a glider that he towed like a kite behind his car. He then added an early-model airplane engine that he ordered through the mail and taught himself how to fly his craft. 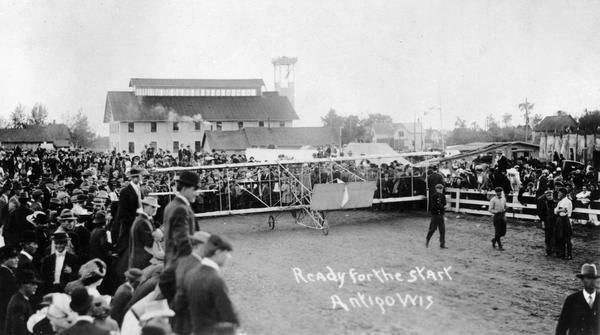 The Minnesota-Badger made several more flights, including an exhibition at the Langlade County Fair in Antigo, pictured above. Another journey saw Schwister travel 27 miles at a sky-scraping altitude of 2,000 feet. Although Schwister was seriously injured in a plane crash in 1912, he kept flying and kept constructing new planes — and his efforts inspired other Wisconsinites to take to the air in their homebuilt crafts. John Muir, one of America’s most influential naturalists and champions of the wilderness, celebrates his birthday this week. Born on April 21, 1838, in Dunbar, Scotland, Muir and his family landed in Wisconsin in 1849. They settled near Portage on land they called Fountain Lake Farm. It was there in the woods, prairies, and wetlands of the farm that Muir discovered his passion for nature. As a young man, Muir was also a talented inventor and could have made quite a career for his mechanical devices. On the farm, he constructed water wheels, thermometers, clocks and an automatic horse feeder. His father disapproved of his tinkering so he spent his nights working in secret in a cellar workshop. Muir, whose formal schooling ended when he moved to Wisconsin, craved education. So he took several of his inventions to the 1860 Wisconsin State Fair and scraped up enough attention and money to pay for his college tuition. Muir made the combination desk and clock pictured above while he was a student at the University of Wisconsin in the 1860s. More than just keeping time, it was a study aid for the harried college student. He arranged his books in the order he needed to study and set the timer. After a click, the first book was pushed up from a rack below the top of the desk and thrown open for studying. After a set number of minutes, the machinery closed the book, dropped it back into the rack, and then moved the next book up and onto the top of the desk. In this image, Menomonie High School senior William C. Klatt operates on a disembodied head using a bit of photographic trickery. 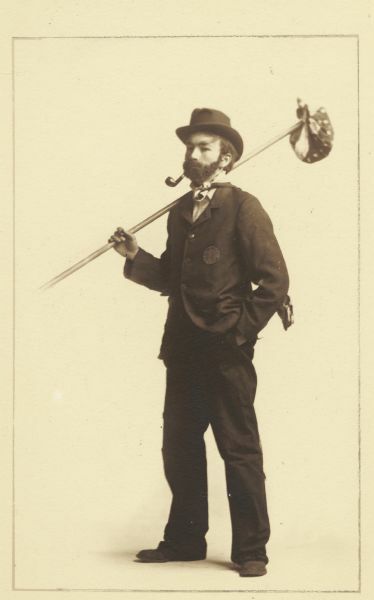 Klatt’s photo appeared in a unique album, depicting members of the 1905 graduating class in quirky scenes that seem perfect to get us in the April Fools’ spirit. Hansen took his first photo at age 14 and never stopped. 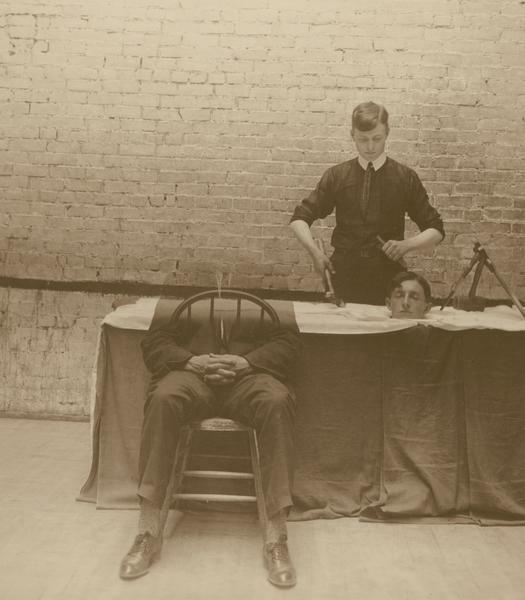 He liked to experiment with the possibilities of the medium, as these photos demonstrate. At least one student fulfilled his photographic prophecy. Fred Quilling really did become a pharmacist. After an apprenticeship and degree from Northwestern University, Quilling returned to Menomonie and ran a drugstore on the town’s Main Street for many years. While Frank Lloyd Wright—his innovative buildings and his tumultuous love life—tend to get most of the attention, his mother’s remarkable sisters, Ellen “Nell” Lloyd Jones and Jane “Jenny” Lloyd Jones (“the Aunts” as Frank called them), had a lasting influence on him as well as the students they taught in their progressive coed school. 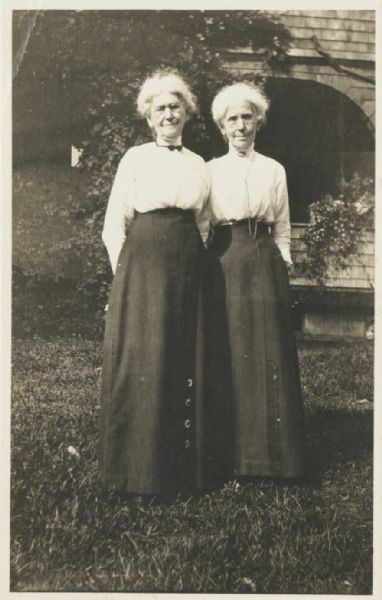 In 1887, Nell and Jenny founded Hillside Home School on their family farm in Spring Green. They commissioned their young nephew (Frank was 19) to design the building. Jenny and Nell came to their educational enterprise with a wealth of experience. Nell had been the head of the history department at River Falls State Normal School, while Jenny had directed a kindergarten-training school in Minnesota. Uniting farm, home, and school, the Hillside Home School was a progressive “learn by doing” school that educated students—girls and boys—from elementary through high school. It was perhaps the first coeducational home schools in the country. The school’s location on a 100-acre farm was touted as an asset to education. “The location of the school removes them from the distraction of the city and surrounds them with the ennobling influences of nature,” proclaimed an 1893 Hillside Home School booklet. The sisters believed that education should teach the basics like math and reading while also attending to the development of empathetic and engaged human beings. Many classes were held outdoors. Older students taught younger ones about responsibility and good manners. 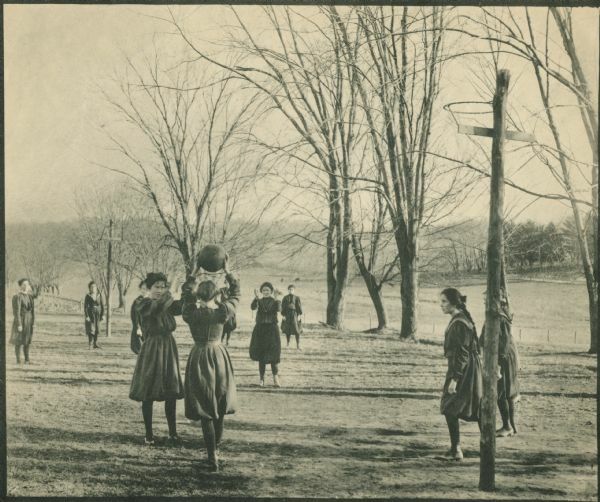 Jenny and Nell also believed that women should exercise and play sports, a view that was not yet common. Femininity throughout much of the 19th century was delicate and passive, not healthy and strong. Frank, an indifferent student himself, was inspired by the freedom of the educational curriculum offered by his aunts. He’d chafed against the rigidity of formal academic requirements. Among the students to attend the Hillside Home School were the architect’s sons Frank Lloyd, Jr., and John Kenneth as well as the three children of Robert La Follette. The school closed in 1915. Nell and Jenny ran it for its entire existence. The school’s buildings were later repurposed as a school and studio for architecture students on the grounds of Taliesin. It’s all about the presidents this month. Lincoln’s birthday, Washington’s birthday, and Presidents’ Day for all the rest (though really, Presidents’ Day is still officially Washington’s birthday and only became popularly known as Presidents’ Day in the 1970s). 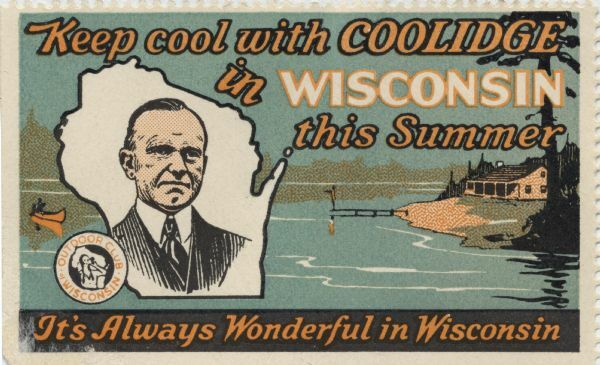 While Wisconsin might not lay claim to a president, it does boast a “Summer White House.” President Calvin Coolidge escaped to Wisconsin for three months in the summer of 1928 to fish the Brule River while working in a nearby high school. In fact, Wisconsin has been a popular destination for fishing presidents. Since Ulysses S. Grant, five presidents have dropped a line in the state’s waters. Coolidge appears to have spent most of his time fishing rather than politicking. In July, he welcomed presidential nominee Herbert Hoover and declared his support of Hoover’s bid for office to residents, visitors, and newsmen. But that was about it. The Duluth Herald reported that the president appeared “more anxious to master the paddling of a canoe against the Brule rapids than in learning what is going on.” Coolidge definitely kept his cool… if being cool meant his demeanor toward his job. 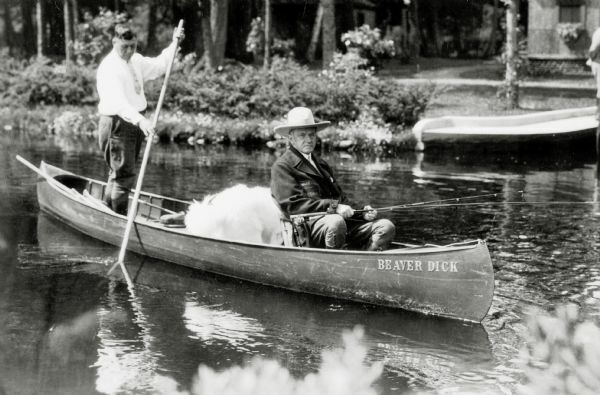 Coolidge left his summer White House able to fly fish and paddle a birch bark canoe. He hoped to come back to the Brule, but sadly, died before that came to pass. 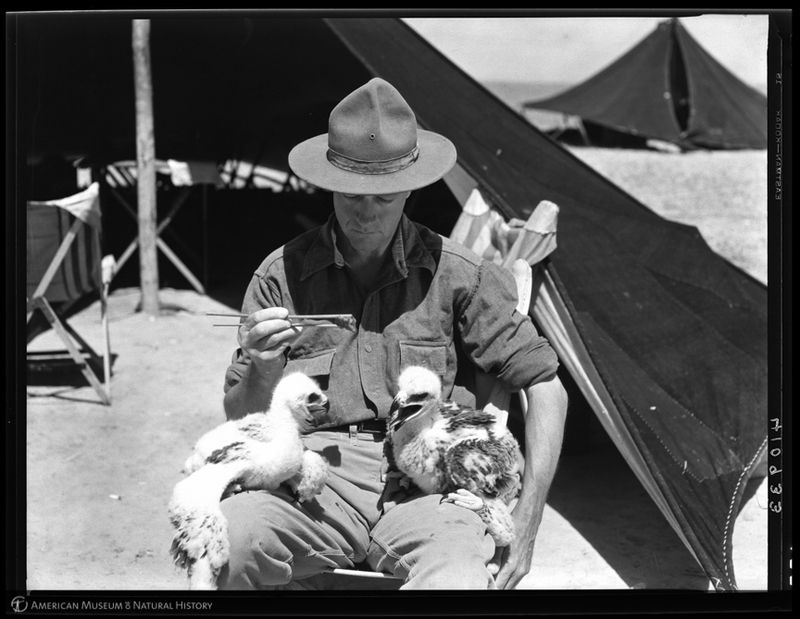 In the above image, Roy Chapman Andrews feeds baby eagles at his camp in Mongolia in 1928. Trotting the globe in search of adventure, Andrews battled blistering sandstorms and fended off deadly snakes in adventurous pursuit of science. Born in Beloit on Jan. 26, 1884, he once said he was “born to be an explorer.” Using money saved from his job as a taxidermist, Andrews paid for his education at Beloit College. He then hopped a train for New York City after graduation in 1906. He applied for a job at the American Museum of Natural History but was told there were no jobs available. So, Andrews volunteered to scrub the museum’s floors. He must have been done one heck of a job with those floors because he rose quickly through the ranks and was soon leading expeditions that took him around the world. Andrews became most famous for his work in the Gobi Desert in the 1920s. Expecting to find the “missing link” for human evolution, he instead uncovered a wealth of mammal and dinosaur fossils, including dinosaur eggs. It was a find that proved how dinosaurs reproduced. Besides fossils, Andrews also found a wealth of excitement and danger. He survived encounters with armed bandits, hungry sharks, and most Indiana Jones-like of all, dozens of poisonous pit vipers. Andrews later admitted to being so frightened that he screamed when he stepped on a coil of what he thought was a snake. It turned out to be rope. In the course of his life, Andrews was mistakenly reported dead more than once. Political instability ended Andrews’ work in the Gobi, and in 1934, he became director of the American Museum of Natural History. Andrews is widely believed to be the model for movie legend Indiana Jones. Although George Lucas never specifically cited Andrews or anyone else, Andrews’ life certainly makes a strong case. Andrews was one of the most famous explorers of the time and his discoveries featured in movie serials. He also looked the part – Andrews always wore a hat and carried a revolver. In 1942, Andrews left the museum and, fortunately for us, spent the rest of his life writing about his expeditions. 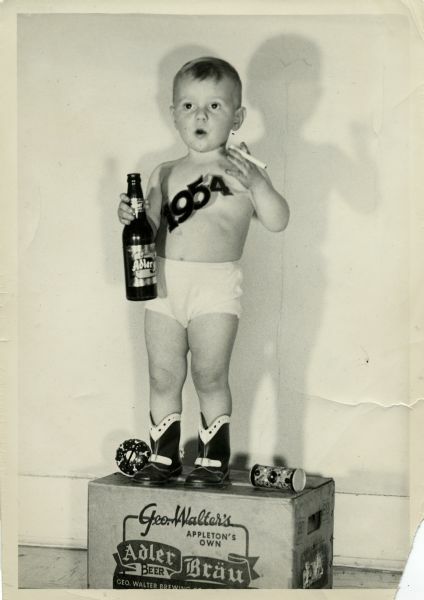 Jimmy Clark rings in 1954 as “Baby New Year” in cowboy boots, underwear, and a sash while standing atop a case of Appleton’s local Adler Brau beer and holding a cigarette (it was the 1950s – we didn’t know any better.). Clark was not the baby that year but he represented a custom that goes back thousands of years. The tradition of “Baby New Year” can be traced back to ancient Greece. The Greeks believed that Dionysus, the god of fertility and wine, was reborn every year as a spirit of fertility and luck. They celebrated with a baby in cradle. Ancient Egyptians also symbolized the birth of the New Year with a baby. Babies born on New Year’s Day are generally considered lucky and their arrivals heralded in the newspaper. “Lawrence Frank Upthagrove has requested Mayor Walters to telephone the Journal that he is Stevens Point’s first New Years baby,” read a 1911 article in the Stevens Point Daily Journal. It seems unlikely that baby Lawrence made that request himself but New Year’s babies are exceptional. 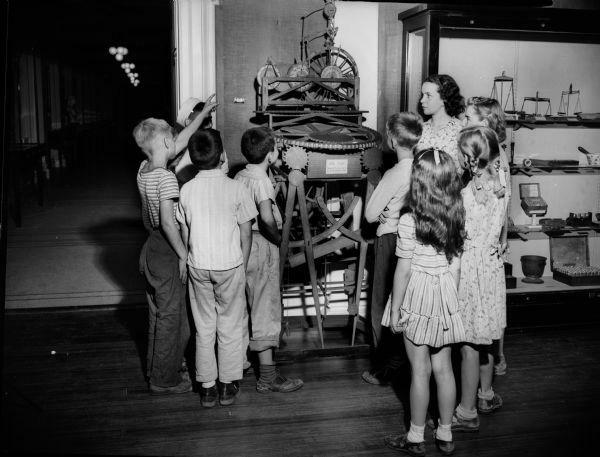 In Monroe, Wisconsin, the lucky New Year’s Baby of 1948 received gifts from local businesses. To stop any would-be cheaters, the doctor’s signature was required to win. And in Menasha, Wisconsin, in 1948, Mr. and Mrs. Edmund Shukoski won the New Year’s lottery with a second New Year’s baby. The Shukoskis won their first first baby of the year in 1946. But it seems holiday births were nothing new to this family of eleven. Dad and one of the boys were born on Thanksgiving, another on July fourth, and another on Christmas Eve. Have you picked out your Christmas outfit yet? 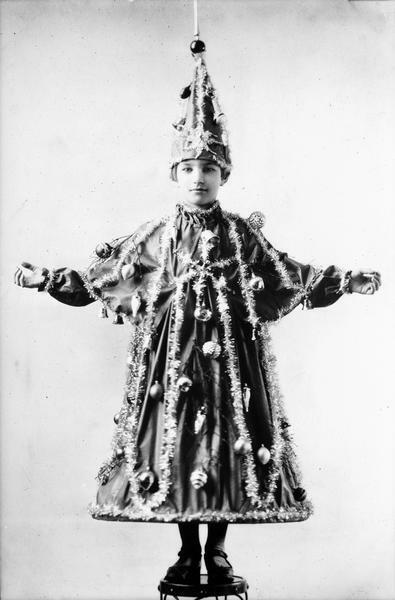 In this great photo, a young girl takes dressing up for the holidays to a new level with this tinsel- and ornament-bedecked dress in the 1950s. Jesuit priest, the Rev. Claude Allouez, celebrated what was perhaps the first Christmas in Wisconsin on the shores of Lake Superior in 1665. He had set out from Montreal in August in the company of 400 Native Americans returning home to Wisconsin. He landed near where the city of Ashland is today and built “a little chapel of bark” that he decorated with “various pictures, as of Hell and of the universal Judgment.” Cheery decor, no? Allouez didn’t say what he did on Christmas, but it was probably praying and saying Mass rather than dressing as a Christmas tree. Holiday cooking disasters have a long history in Wisconsin as well. In 1803, British trader Capt. Thomas Anderson attempted a Christmas feast for his Native American neighbors. He captured “the fattest raccoon” he could find – 32 pounds – and set to work stuffing it with venison, onions, and seasonings. Despite this cooking disaster, Anderson was at it again in 1811, preparing a “sea pie” of muskrat for a Christmas feast. He made the crust and fit it in the bottom of a bake-kettle; spread a layer of muskrat meat, pepper, and salt; and continued alternating crust and meat until the kettle was full. Maybe Anderson should have tried the tree outfit instead. May your holiday feast be more relishable.